It's 5-Star Quality All the Way with Powerful Homegrown Fantaseeds! To make your wildest fantasies come true, Homegrown Fantaseeds has created an incredible selection of 100% feminized seeds filled to the bursting point with raw power, unbelievable flavour & mind-bending effects! 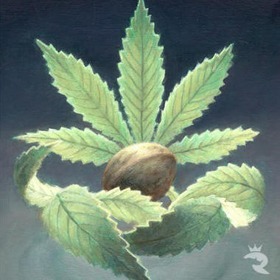 You'll love everything about these 5-star cannabis seeds - including the awesome prices! Buy Connoisseur-Quality Homegrown Fantaseeds Feminized Cannabis Seeds Today! Satisfy Your Desires with Lush Homegrown Fantaseeds Feminized Cannabis Seeds! Now that Homegrown Fantaseeds has conquered the Cups, they've turned their focus to 5-star feminized cannabis seeds! It's about time you were able to get all your favourite strains in a highly stable, turbo-charged, 100% feminized form. Life will never be easier! To craft these superior weed seeds, Homegrown Fantaseeds uses a mix of classic Positronics breeding stock, pure landrace strains and their own in-house, high-octane genetics. It's the same stuff that goes into their impressive selection of standard cannabis seeds, but these beans have been whipped into shape through a state-of-the-art feminization process. The Largest Selection & the Lowest Prices! Armed with countless Cup wins and the HTCC Best Seed Company of the Year award, Homegrown Fantaseeds delivers incredible stable feminized seeds that you can trust. In fact, they have one of the highest success rates in the industry. Not sure what to get? Check out these Rhino-recommended feminized seeds. AC Diesel is a fuel-flavoured favourite that's the only seed trippy enough to be named after the weed capital of the world, Amsterdam. If you like it old-school, you can't go wrong with Homegrown Cheese Feminized, Homegrown Skunk #1 Feminized or the original bad-girl White Widow! Of course, if you're just out to get wasted, there's nothing better than Train Wreck or Armageddon Feminized. At these prices, why stop at one? 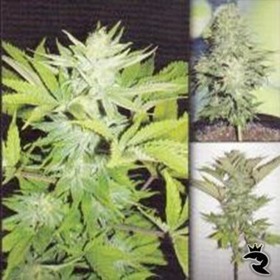 Rhino Seeds sells the cheapest feminized seeds in the UK and delivers them faster than anyone! Buy Stable, 100% Feminized Cannabis Seeds from Homegrown Fantaseeds & The Rhino Now!